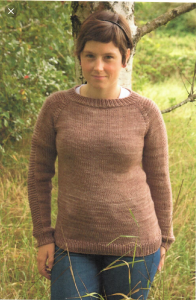 Flax is a perfect first sweater project. It is a top-down raglan design with no seaming. Yay! We love no seams It’s sized for babies to 4XL adults, so knit one for everyone in the family! 270-1800 yards worsted or aran weight yarn (see shop for size chart to determine yardage).